A’s World According To JWo – Where's JWo? It just so happened that a fellow blogger/tweeter, PJ, recently noticed how much time I had been spending at the two Bay Area major league baseball parks and asked me to participate in his June photoblogging challenge (click here to see his and other entries) since his theme for the month was baseball. I hadn’t written anything for awhile, so I thought, why not? All I had to do was pick five June photos that represented my interpretation of the theme. 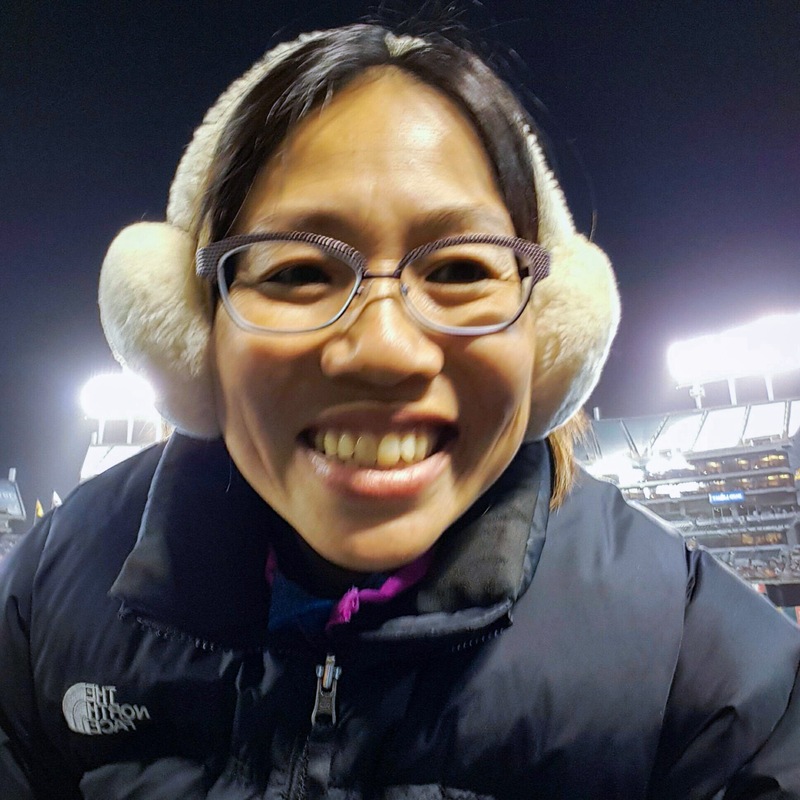 I decided to focus on the Oakland Coliseum as I have an in-depth post I plan to write later in the season about geocaching at and around AT&T park. Going to a baseball game is one of my favorite summer pastimes. It is a time to lazily hang out with friends, explore the venue, check out what’s cooking and if I’m lucky that day, maybe even get to watch history being made. 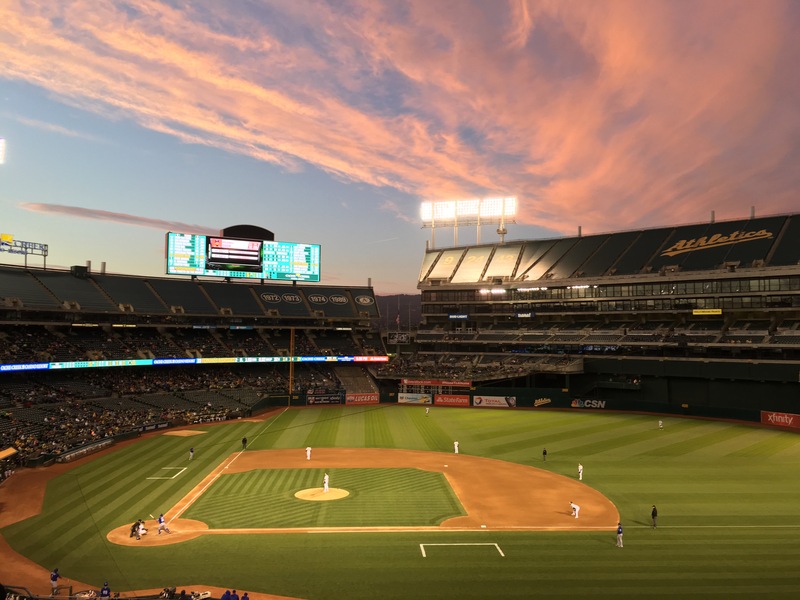 I have been going to Oakland A’s games at the Coliseum (that’s what us old-timers call it; I can’t keep up with all the name changes) for almost 40 years now. I grew up just a few miles from there. It is so close to my parents’ house that I often see the blimp from the kitchen window. Tuesdays are free parking days sponsored by Chevy. This makes it super easy for my friends and I to drive to the Coliseum and tailgate before the game. 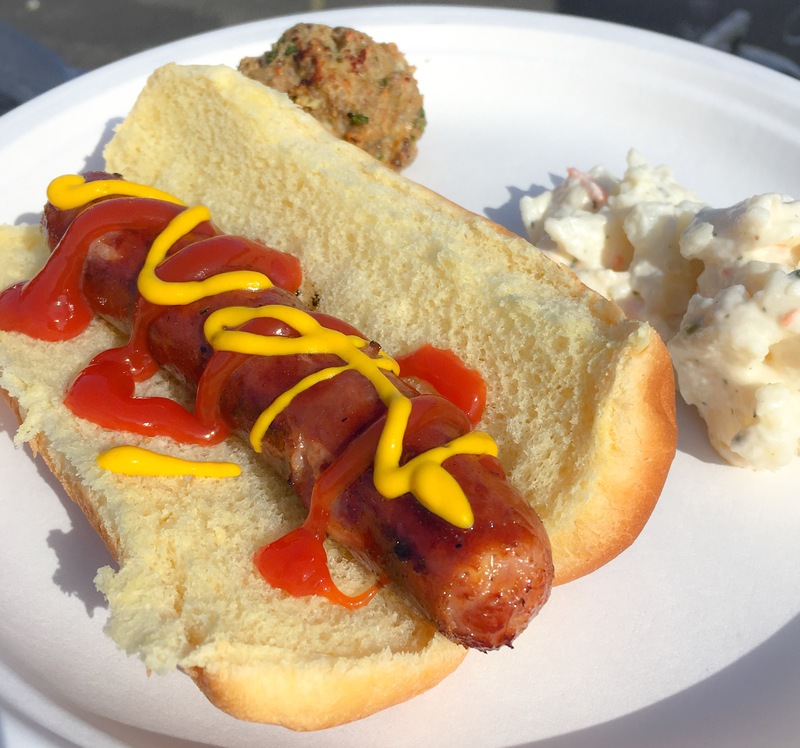 Our usual fare includes cheese filled hot dogs, chips, potato salad, and cupcakes. There is always a fun cast of recurring characters at the games. Here is Howard, one of the most famous baseball vendors in the Bay Area. 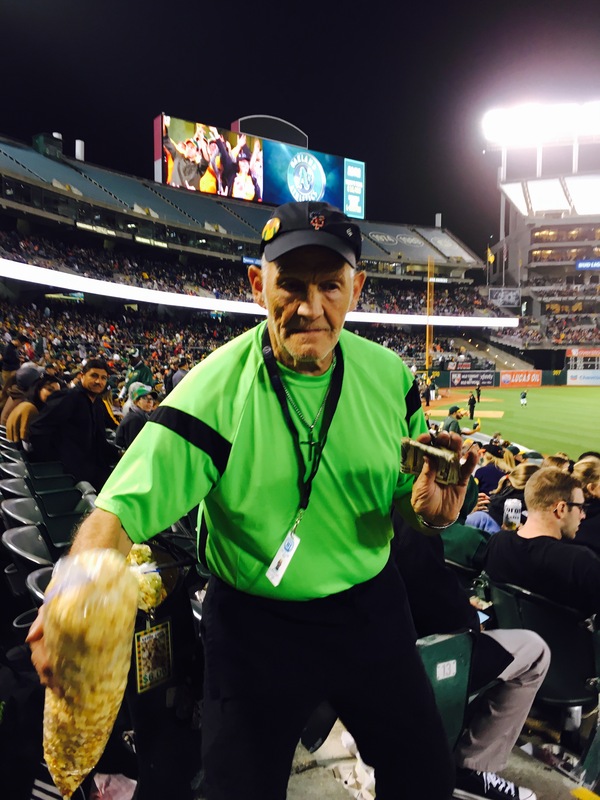 He works both the Coliseum and AT&T Park where he is known for his mad dance skills. I have only seen him on the jumbotron before the other night when I was lucky enough to have him come down the aisle and do a little dance for me. The Coliseum has seen better days and has never been a destination ballpark. Because the stadium tends toward the utilitarian side it is not very aesthetically pleasing. However, I have seen some of the most amazing skies in my life here when the sun sets. 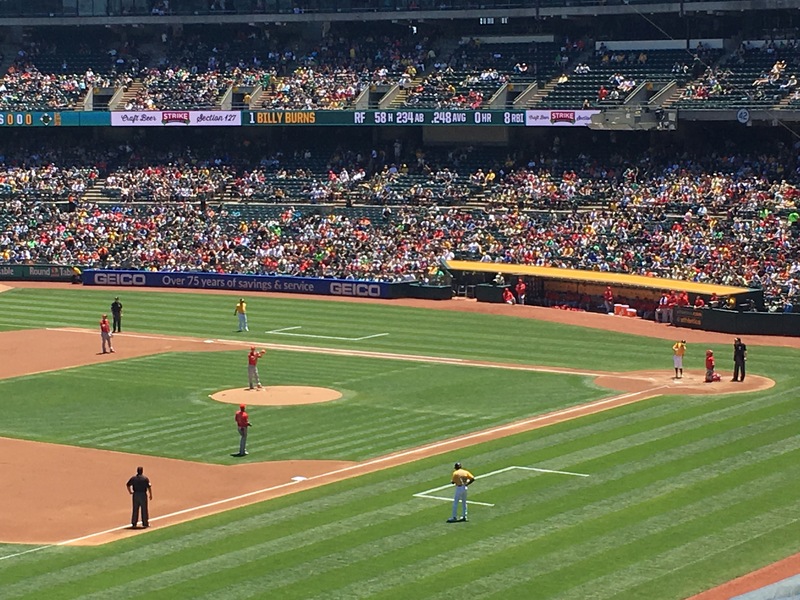 A couple of weeks ago, I came to see the Bay Area’s beloved pitcher, two time Cy Young winner and ex-SF Giant, Tim Lincecum, start for the A’s big rival, the California Angels. It was wonderful to see large crowds of Giants fans come to the Coliseum to support his first start on a new team. It was so incredibly touching when A’s, Giants, and Angels fans alike gave him standing ovations it almost brought tears to my eyes. Here he is on the mound for his first pitch. Towards the end of almost every game, the Bay Area parks get too windy for me. For some inexplicable reason, I get an excruciating headache every time I get a few minutes of wind in my ears. It seems the only way to prevent the headache from happening is by wearing earmuffs. So I will end here with a selfie taken at the end of game 4 of the Bay Bridge A’s vs. Giants series last Thursday. Thank you for taking me to the ballgame! So nice to meet you and Howard! Beautiful evening scenery, and as long as there are so great moments at the stadium who cares if it isn’t the most modern one! I love all your photos of base ball and that sky is amazing. Glad you took PJ up on his invitation and shared some of your June baseball experiences with us. That sunset is beautiful. And I’m glad you figured out that wearing earmuffs will stave off the headache. Prevention is better than Motrin, I think. Great work on this theme and I hope you’ll keep joining us in the challenge, even if not baseball related. And though I know the Coliseum isn’t a “destination” place, it’s on my list of places to go as I want to try and hit every stadium. My hope is to look at the MLB schedule at some point in the next two years to see if there’s any way to do a trip where I can hit all 5 California stadiums in one trip. Then it would be perfect!